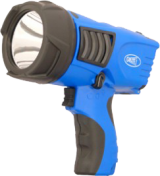 This is a compact, professional torch which is manufactured from aircraft grade aluminium and black anodised for protection. 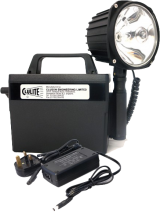 It employs Cree XM-LT6 LED technology. 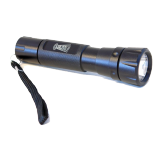 The impressive beam can be alternated between spot and floodlight function by sliding or retracting the head. You can also choose between high or low power mode to suit your needs via a tactical switch. 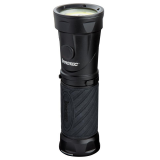 This torch operates via a rechargeable battery (B21). 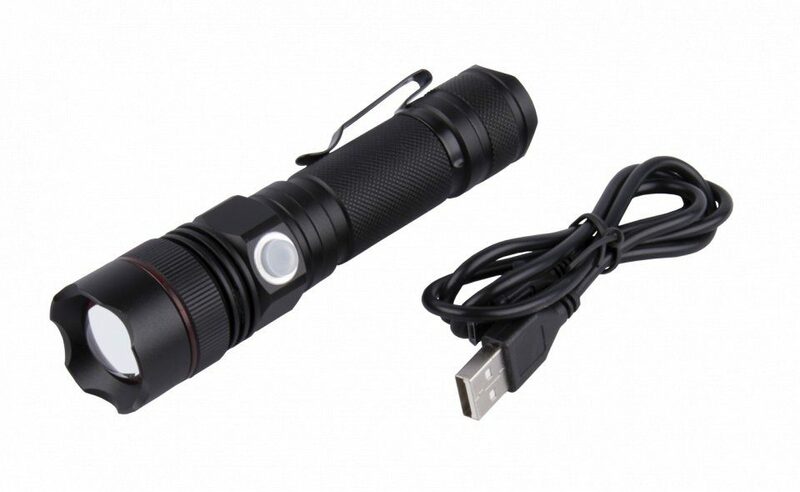 It comes with a micro USB cable for recharging which takes about 4-5 hours from a fully discharged battery. Life of the battery is 6 hours on low beam and 2 - 2.5 hours on high beam. 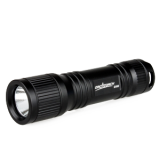 High beam provides 500 lumens. 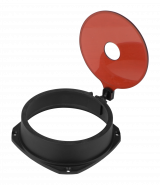 Also featured is a pocket clip and a power and charging indicator light on the switch.